On November 10, 2018, the Fishers Police and the Fishers Firefighters will perform BATTLE OF MUDSOCK at The Historic Ambassador House and Heritage Gardens in Fishers Indiana. A once in a lifetime opportunity to see the Fishers Police and the Fishers Firefighters perform an historical reenactment fo the BATTLE OF MUDSOCK! On November 10, 2018 the Fishers Police and the Fishers Firefighters will perform BATTLE OF MUDSOCK at the Historical Ambassador House and Heritage Gardens located at 10595 Eller Road in Fishers Indiana 46038. The history about the Battle Of Mudsock On Saturday, November 19,1881, in the town of Fishers, IN (then known as Fishers Station) a rowdy cantankerous character by the name of Hampton “Hamp” West (he was also a grave robber) started a ruckus that culminated in a notorious battle that took place in Fishers Indiana. Commotion and mayhem ensued until it snowballed into an explosion of violence that left one person dead, 32 injured, and caused the destruction of two buildings. So infamous was the occurrence that it made national headlines and put Fishers, IN, on the map. 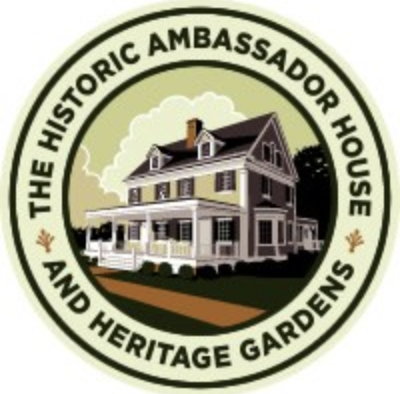 Brass knuckles, pool cues and fists will be flying – not to mention a few gunshots (assimilated,of course) on November 10, 2018, at The Historic Ambassador House & Heritage Gardens. This is a once in a lifetime chance to see the BATTLE OF MUDSOCK reenacted by the Fishers Police and the Fishers Firefighters who join forces with The Historic Ambassador House and the Award Winning Nickel Plate Players as they present the BATTLE OF MUDSOCK! Homemade chili, provided by the Fishers Firefighters, will be available for purchase. A variety of local vendors will be on site with beverages available for purchase. ALL PROCEEDS will go to The Historic Ambassador House, The Fishers Police Foundation, and the Fishers Fire Foundation. Experience a touch of the Wild West as THE FISHERS POLICE and THE FISHERS FIREFIGHTERS come to life in the lawless town of Fishers, IN (year 1881) in the BATTLE OF MUDSOCK! This is an opportunity to support these vital organizations who are helping make Fishers, IN, one of the greatest cities in the country! FUN FOR THE ENTIRE FAMILY!